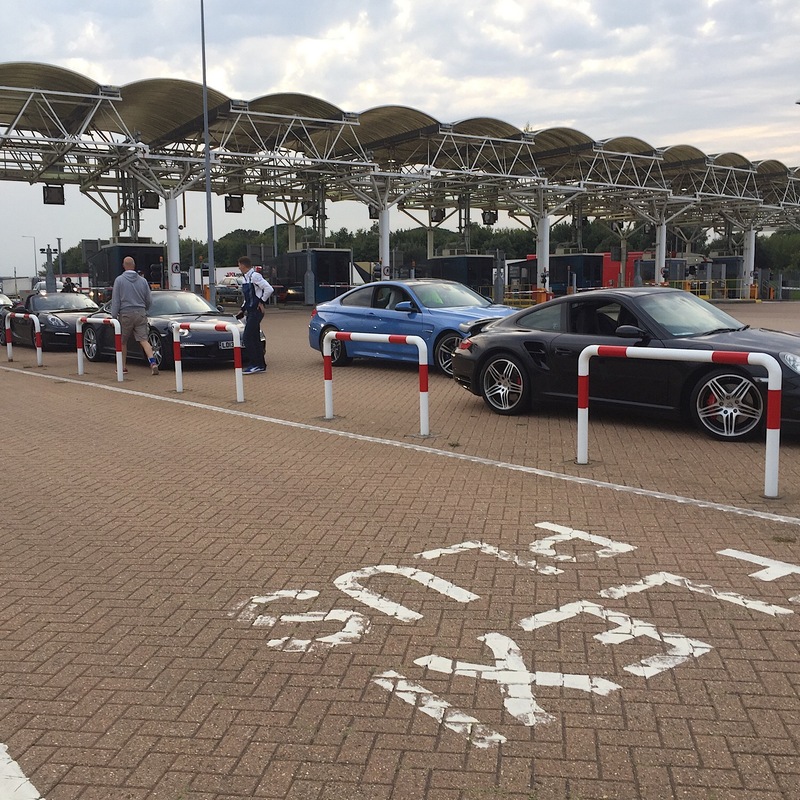 Well after years of doing Silverstone for the F1 we decided to treat ourselves this year and after a lot of planning and getting giddy we set off from Leeds at 2pm Tuesday and it's now 1.30am French time and tucked up in a cheap hotel in Arras. 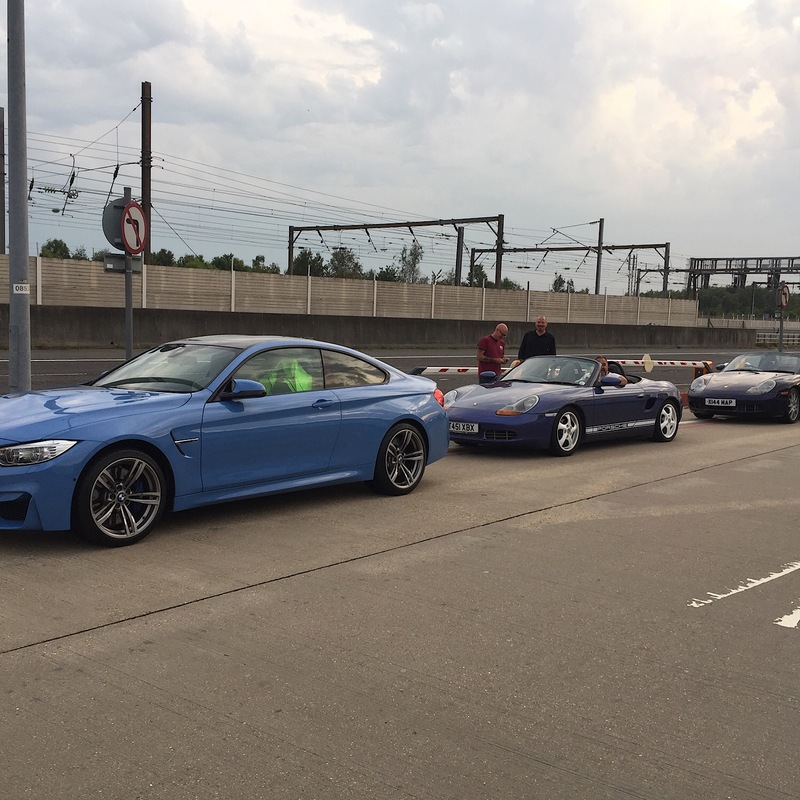 9 of us in 6 cars 991 4S 997 turbo 2 x 986 boxster 981 boxster and a M4. I'll update with some better photo tomorrow. looking forward to this thread as planning on same route in 2018. Sorry guys I hoped to do a daily update but time got the better of us!! With much excitement we got up early to set off to Stuttgart the hope being we could do the museum late afternoon. 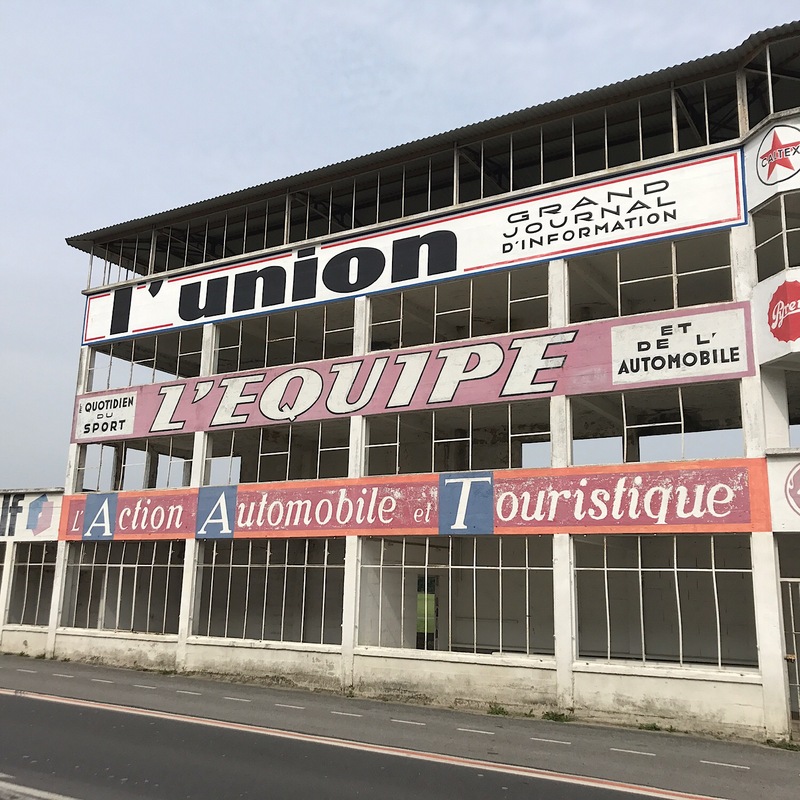 It was raining but not heavy our route was A26 to Reims a must is a stop off at the old pits and stand at Circuit de reims-gueux address 20 D27, 51390 Gueux, France. Got some great pictures and you can really feel the history. 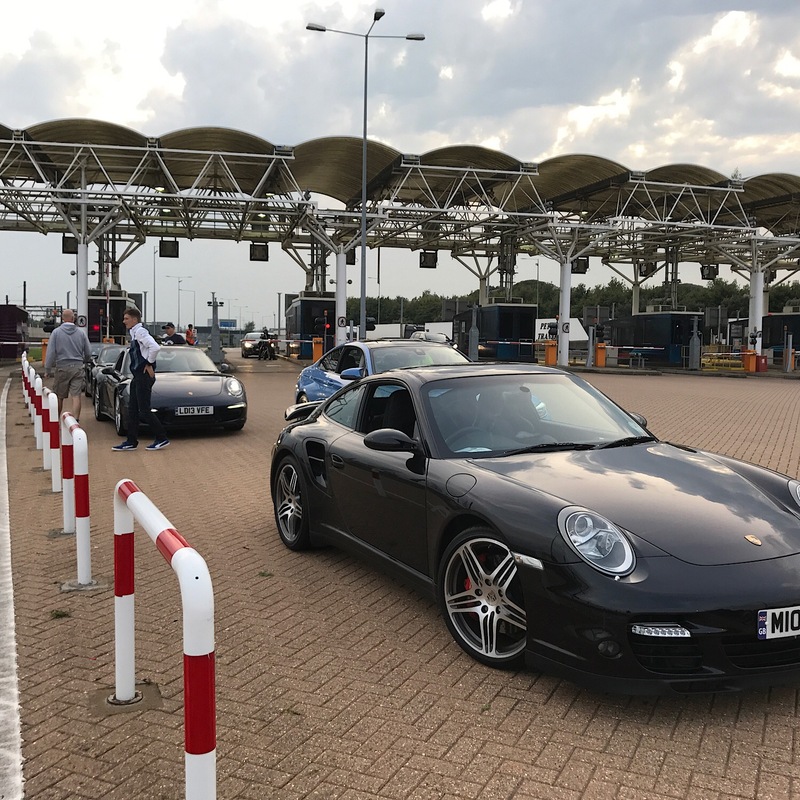 The sun was out and time to enjoy the trip to Stuttgart using mainly the A4. Roads were clear but this turns out to be a longer run than anticipated, a theme that continues Unfortunately. It was clear we wouldn't make the museum so headed to our Hotel (i'll update with hotel details). We set off at 8am and arrived Stuttgart 9pm. Thursday morning, up and out at 7.30am to head to the museum about 45 mins drive, with rush hour and an accident it was 90 mins. Loved the museum a relaxed look round only takes about 45 mins and it's well worth the effort! 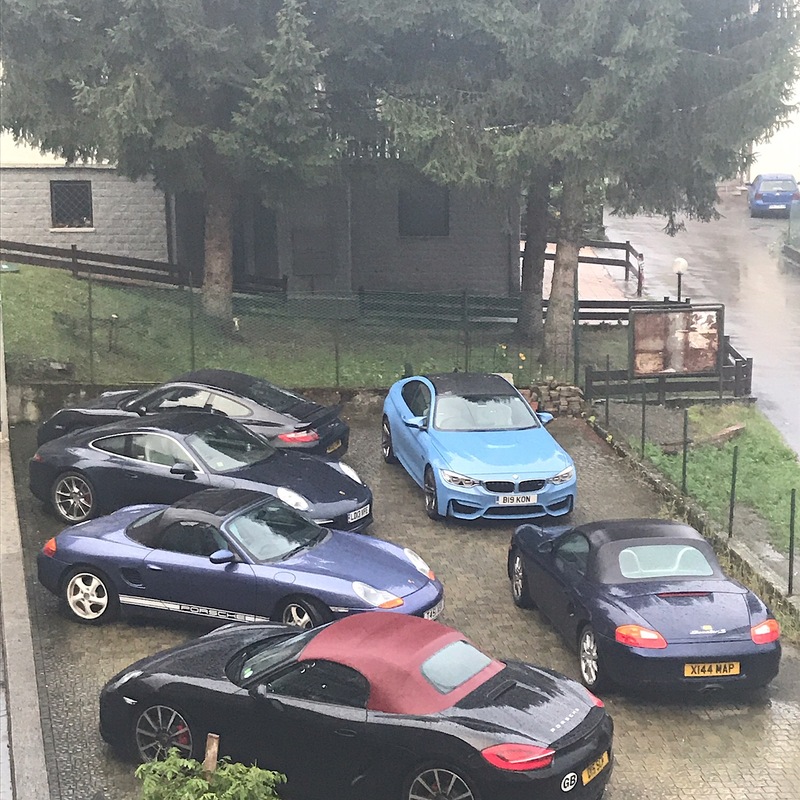 it's funny seeing a town that's basically PORSCHE! 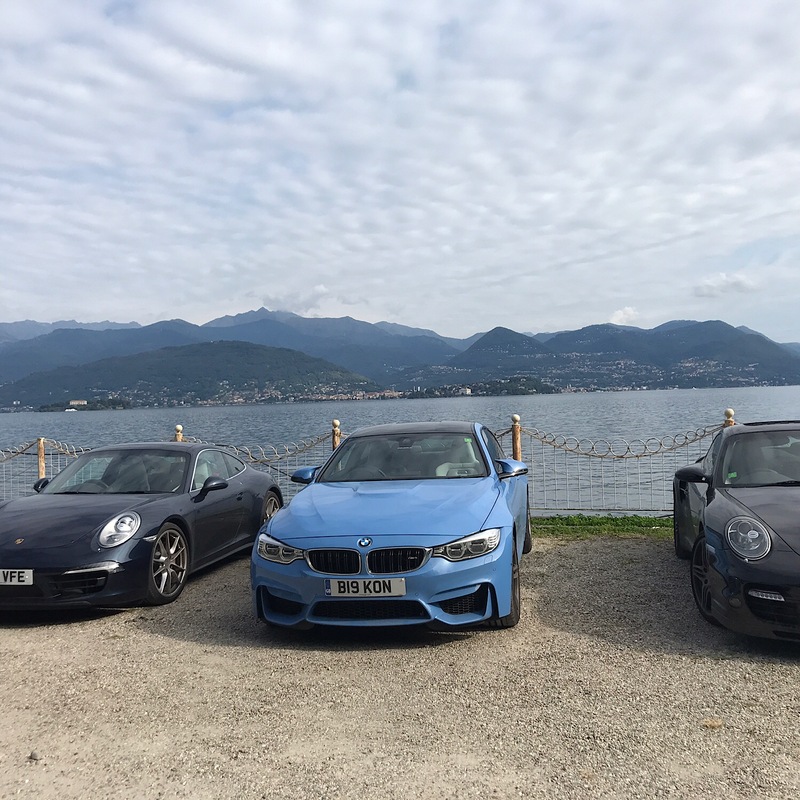 Our aim on this day was to get just over the border into Italy and also to drive 2 of the best passes in the Alps Stelvio Pass and another can't remember the name but it turns out not important because we wouldn't do either. The rain seems to be following us and getting heavier, we head down the A5 to try and make up some time and the standing water was clearly a problem, thankfully a new set of rears on my Turbo were working well! We then hit traffic and it got heavier and heavier, it got to about 4pm and we still had about 6 hours of driving if we headed straight for the hotel, some of our group wanted to still do the passes (mad or what) I bailed out and headed for the hotel in Di Sant Agata just over the Swiss border. I hit the mountain pass at night, I had to pull over the conditions were so bad! once my eyes adjusted and a five minute break to compose myself i set off. 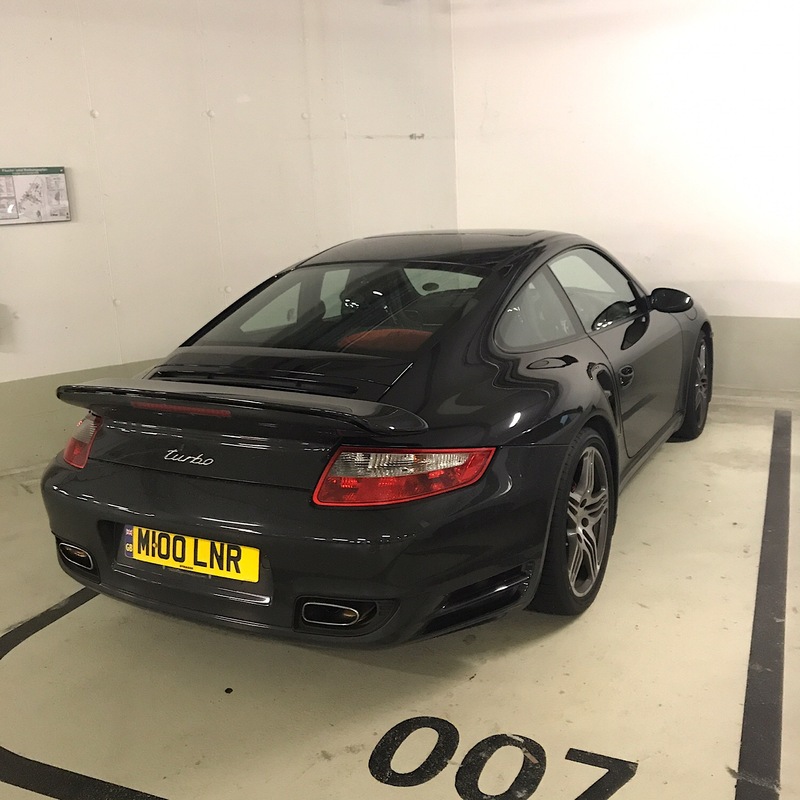 I started to enjoy some of the tunnels and hairpin bends so much I put the turbo into sport mode and pasm to normal select manual and away I went, the next 2 hours driving were amazing i'm just glad I couldn't see the drops over the edge! i'm sure I wouldn't have been so brave. 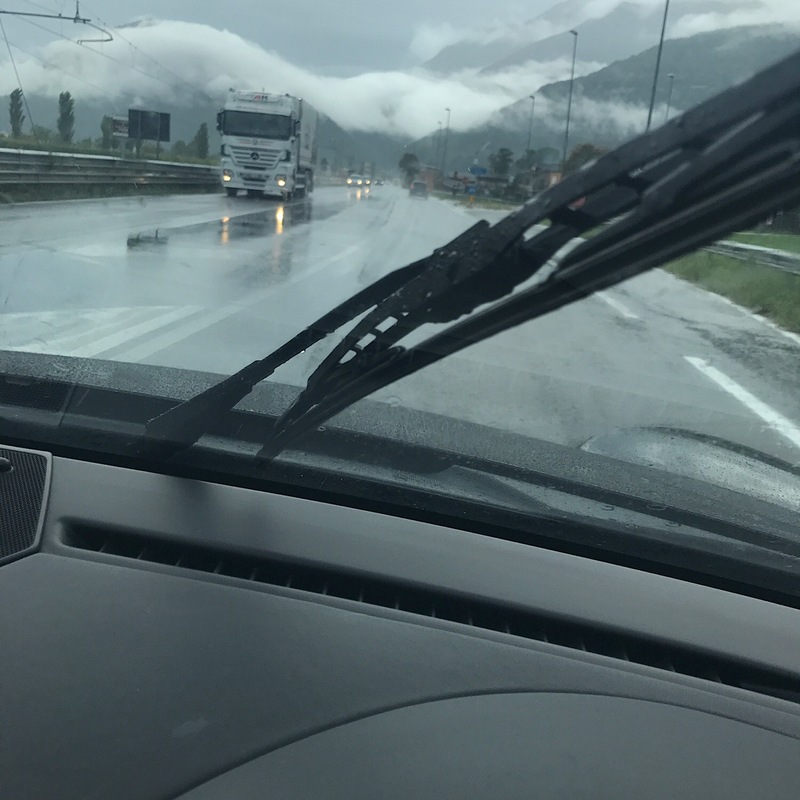 Just over the alps with thunder and lightning a passed a Fiat 500 going slow, about 2 miles down the road the rain had got so bad the same Fiat passed me! Pizza and beer was waiting at the hotel and well deserved it was! Friday, and heading to Monza great excitement! 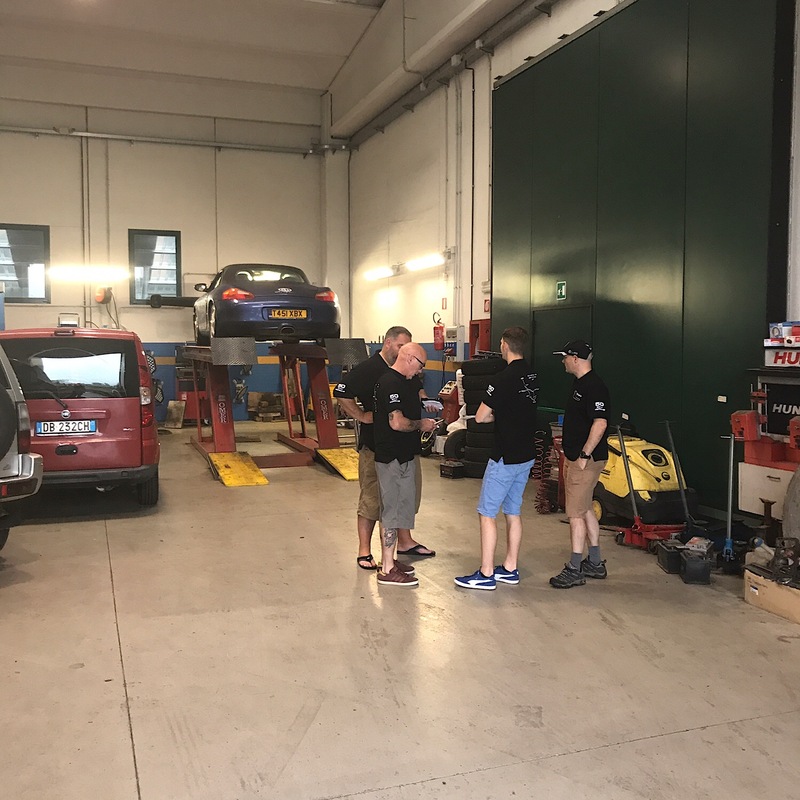 We had a problem with the eldest Boxster a 1998 2.5 the exhaust was opening at one of the brackets/joints, a very helpful garage had it sorted in an hour, this would turn out to be our only mechanical issue. 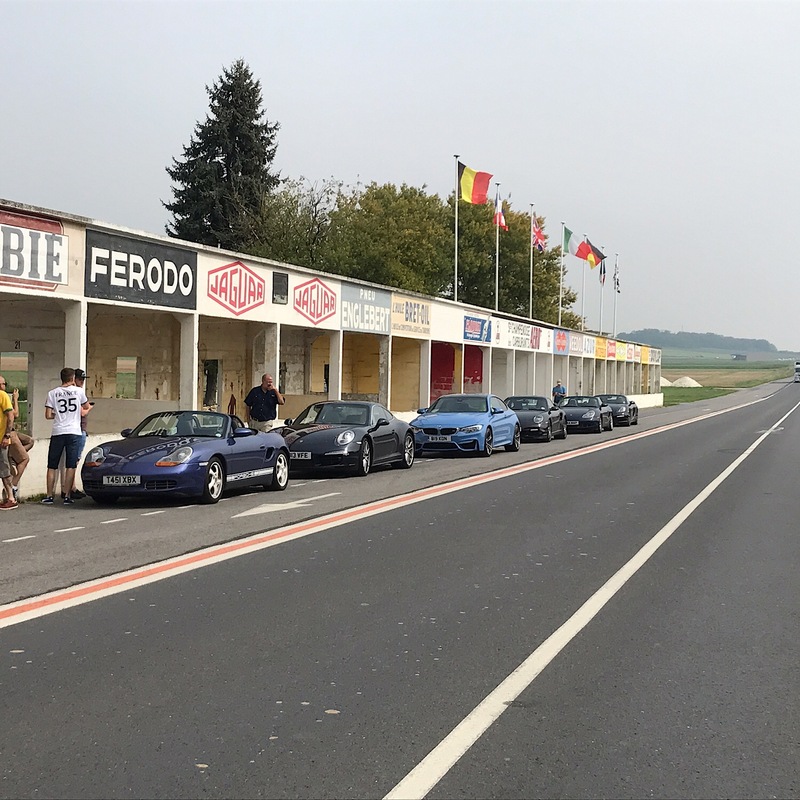 We arrived at the track about 1pm and greeted by what felt like 100s of Ferrari fans admiring the cars, asking for us to rev the engines and taking video and pictures. The sun was out at last, this is what Italy should be like! Race if you watched it was great to see Lewis win but what a bore, not much action at all, the campsite was also a massive anti-climax compared to the night life at Woodlands camp site Silverstone. Sunday night we walked into Monza and had a meal very tame but nice. 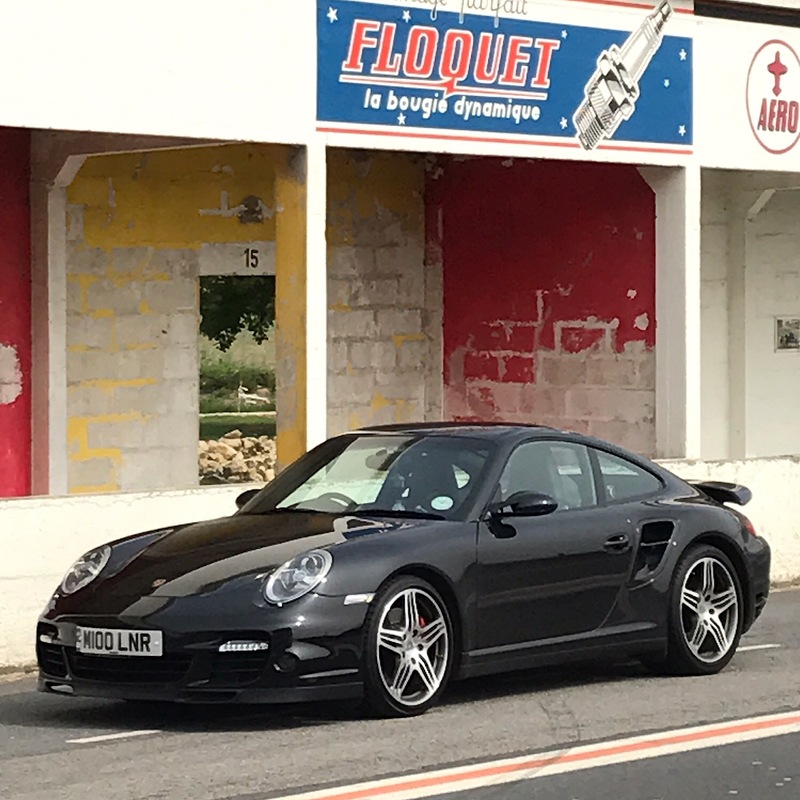 Monday and again a massive 1000 kilometers to drive upto Forges Les Eaux a little town supposed to be near Reims but turned out to be another hour and a half drive north what joy. I was on autopilot most of the way! 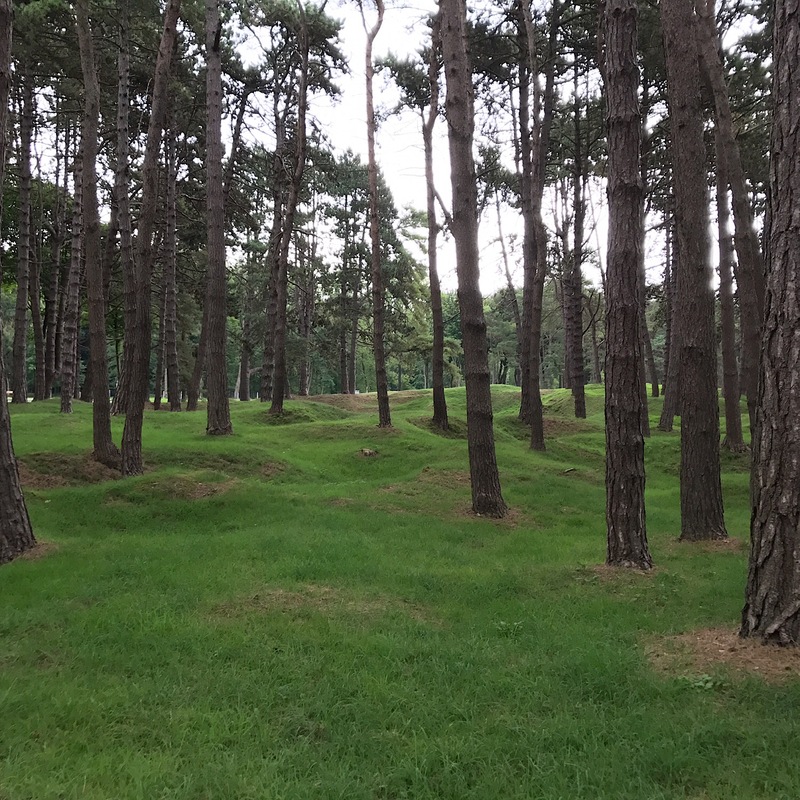 Next day and last we headed to Le Touquet a lovely little coastal town just a 45 mins drive to the tunnel, we visited the WW1 Vimmy ridge where the Canadian thought to take one of the most important vantage points of the war. The French gave the land to the Canadians for them to restore the tunnels and leave the craters and trenches for all to see. A wonderful humbling place! Le Touquet a wonderful upmarket town with some great restaurants, I've been many times and always enjoy. Up early the next morning to head home. 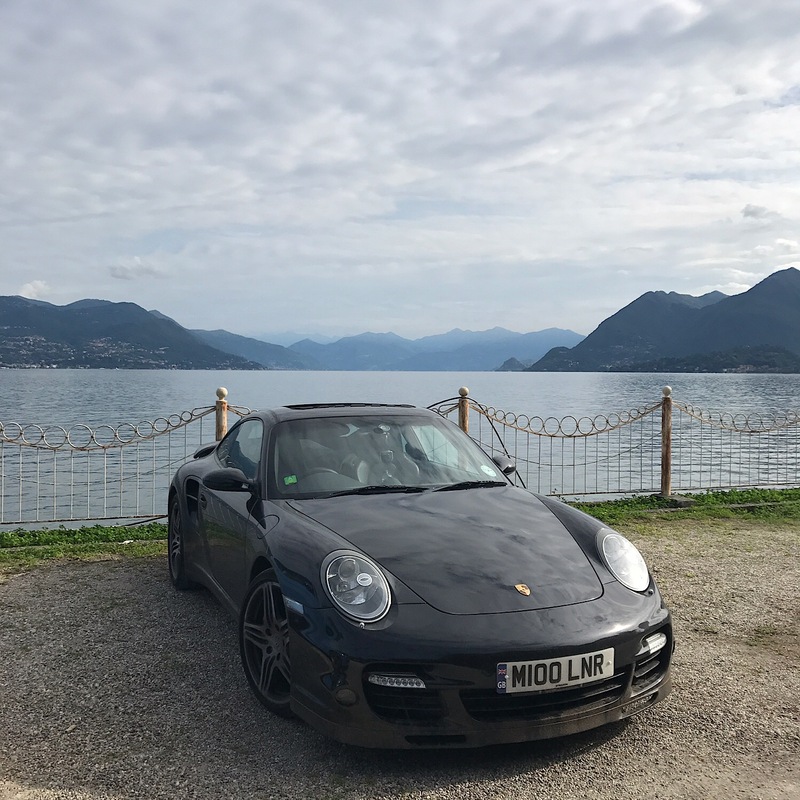 A wonderful trip and i feel lucky to be privileged to have done it in such a great car, the 997 turbo even in tip form is truly awesome! If I was doing it again and I will it would need to be two days longer or cut out the trip to Germany. I'll update with hotel details and some pics, I'm not very good at writing so apologies if it's been a boring read.